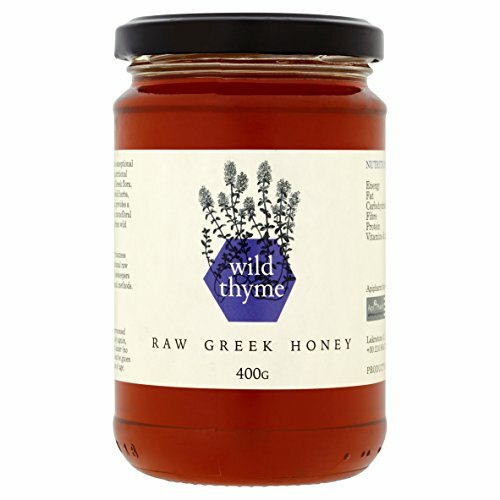 Greek honey is globally famous for its exceptional quality, unique aroma and nutrional value. 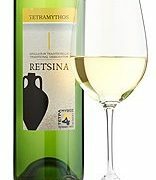 Its taste is due to the great diversity of Greek flora, which consists of numerous wild herbs (thyme, lavendar, oregano, sage), citrus orchards and evergreen forests. Apipharm is a small family business dedicated to sourcing raw Greek honey. 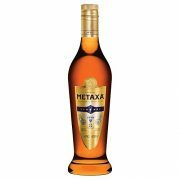 The company has long standing relationships with many artisanal beekeepers across Greece and it packages and sells their honey under a single brand. Bees forage on flowers within 2km of their beehive but they can also travel as much as 14km. Beekeepers move their beehives around the countryside depending on the month and which herbs / flowers / trees are in bloom. Monofloral honeys command higher prices than polyfloral honeys – the EU regulates their classification. By studying the pollen present in the honey, experts are able to determine the geographical and plant origin of the honey. This honey is raw, unheated, and predominantly from thyme flowers (55% of pollen count) and comes from a beekeeper in the region of Mani, a naturally wild region of the southwestern Peloponnese. 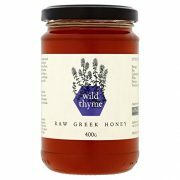 Greek honey is special due to the great diversity of Greek flora, which consists of numerous wild herbs, evergreen forests and citrus tree orchards. This honey is raw, unheated and has a 45% pollen count from thyme flowers. 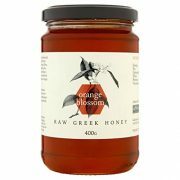 Because of Greece’s geography (big mountain ranges, remote islands), it is possible for bees to be isolated to a particular place and to have access to a single type of flower, resulting in a monofloral honey. 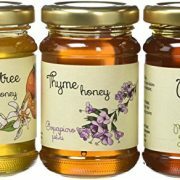 Monofloral honey is more prized than polyfloral honey because it is more rare. The pollen count from a single flower needs to be at least 18% in order to be classified as monofloral by the EU. The higher the concentration of pollen from a particular source, the more prized the honey. 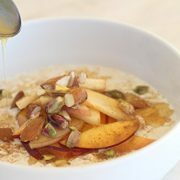 Raw honey contains anti-bacterial, anti-viral and anti-fungal substances. 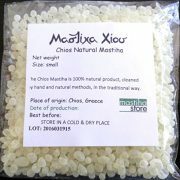 It has been used for centuries to treat sore throats, coughs, and as an effective anti-microbial agent to treat minor burns, cuts and other bacterial infections.